According to the Wall Street Journal, the average starting salaries of 2014 college graduates are 7.5 percent higher than salaries for the 2013 class. Engineers topped the list with average salaries for 2014 starting at $62,891, although this represented just 1.3 percent more than last year’s engineering class earned. Other disciplines that saw big increases were those in communications disciplines and computer science. The paper also reported that students’ expectations for starting salaries are low, and that students have a “bleak outlook” on the job market. The Lemelson-MIT National Collegiate Student Prize Competition honors promising collegiate inventors around the country, undergraduate and graduate, who have inventions in either the categories of healthcare or consumer technology. Inventions can address issues in both developing and developed economies. Undergraduate teams can win up to $10,000 and graduates can win up to $15,000. Applications are open for the 2015 year and are due by January 30, 2015. The Touch of Genius Prize for Innovation is a $20,000 prize that recognizes software, apps, educational tools, or games that promote braille learning or braille-related hardware. The prize is offered through the National Braille Press and the Gibney Family Foundation, and attracts participants from around the world in fields such as education, technology, engineering, and general literacy. Stay tuned to the National Braille Press website for details on the 2015 competition. Although applications have not yet been released, the deadline for registration is expected to be January 7, 2015. The year-long Code for Progress Fellowship aims to train people to build digital tools to communicate, organize, and mobilize in their communities. The fellowship specifically is looking for applicants from low-income backgrounds, or who are LGBTQ, people of color, and women. The program starts with an 18-week residency in Washington, DC to learn how to code and navigate the professional and social justice environment. Participants receive a monthly housing allowance and stipend during their time in DC, and will then be placed in social justice organizations to work for the remainder of the year. Applications have already closed for the 2014 year, but those who wish to apply for the 2015 class can sign up for the Code for Progress listserv to receive updates. HybridCars reports on University of Denver mechanical engineering Ph.D. student Eva Hakansson, who set several speed records in her homemade, streamlined electric sidecar called KillaJoule. 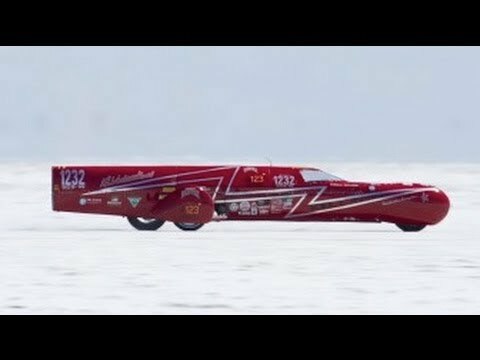 The vehicle clocked in at 241.9 miles per hour, beating the previous sidecar speed record by 25 mph. The car is 19 feet long and weighs more than 1,500 pounds, and is completely powered by Lithium batteries. KillaJoule is also the world’s fourth fastest battery-powered vehicle. Hakansson, daughter of a champion racer, has degrees in mechanical engineering, business, and environmental science. According to the article, she built most of KillaJoule in her two-car garage in Colorado over the course of five years. She currently works as a researcher at the National Oceanic and Atmospheric Administration as well.